Newfoundlanders have a rich history of music. At every kitchen party hosted by Newfoundlanders at home or away, songs will be sung expressing love and pride for the Island. All Around The Circle and We'll Rant And We'll Roar are songbooks composed of the all-time favourite songs of Newfoundland. 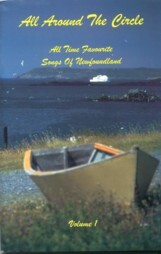 Many of the most popular Newfoundland songs are available in these songbooks. Selections include "The Ode To Newfoundland", "Excursion Around The Bay", "The Black Velvet Band", "Heave Away" and many more! The songbooks provide the melody with guitar chords, the lyrics, and a vocal arrangement to suit the average voice. 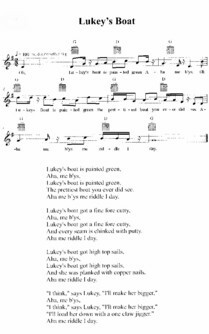 Some of the songs, although they have guitar chords, have a tradition of being sung a cappella. Songs selected and edited by Lyle Drake; arrangements by Sean Harris. 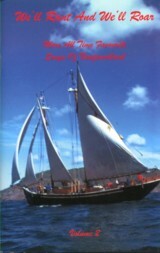 Published by Tilt Hill Publishing. These affordable books are only $7.99 each, plus tax. All Around The Circle: All Time Favourite Songs of Newfoundland, Volume 1 features 28 selections: Feller From Fortune, Bound Down For Newfoundland, Now I'm 64, Petty Harbour Bait Skiff, Rubber Boots, Homeward Bound (I'm Bound For St. Peter's), Berry Picking Time, The Cliffs Of Baccalieu, Harbour LeCou, Ferryland Sealer, Jolly Jack Tar, Come And I Will Sing You (The Ten Commandments), The Star Of Logy Bay, Ise The B'y, Signal Hill, Old Polina, Wedding In Renews, Twenty One Years, Mussels In The Corner, Twin Lakes, Trinity Cake, My Father's Old Sou'wester, As I Roved Out, Sweet Forget Me Not, Greenland Whale Fishery, The Black Velvet Band, Murphy Broke The Pledge, Tribute To Newfoundland. We'll Rant And We'll Roar: More All Time Favourite Songs Of Newfoundland, Volume 2 features 23 selections: Ryans And The Pittmans (We'll Rant And We'll Roar), Peter Street, Cod Liver Oil, Jack Was Every Inch A Sailor, Never Been There Before, Lukey's Boat, Old Brown's Daughter, Sam Hall, The Night Pat Murphy Died, Heave Away, A Great Big Sea Hove In Long Beach, Tickle Cove Pond, Billy Peddle, Why Didn't You Say So, Excursion Around The Bay, Jack Hinks, Kelligrew's Soiree, Rattlin' Bog, Hard, Hard Times, Jolly Rovin' Tar, The Badger Drive, Oh No, Not I.